High strength reinforced construction sandbags provides the durability to perform over the duration of your project and beyond. 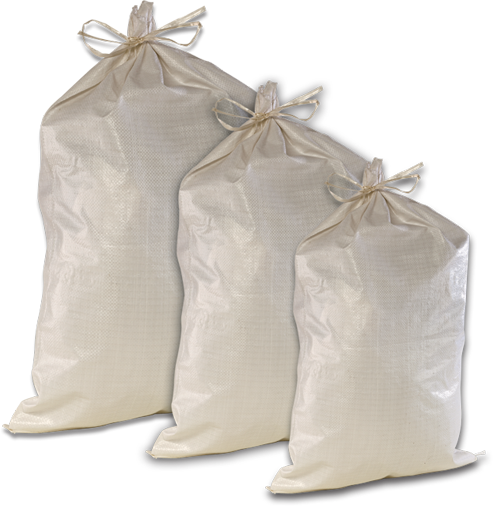 Our Woven Polypropylene Bags are an excellent choice when the strongest material is essential for flood control. They are also used for feed, grain, grass seed, fertilizer, sugar, beans rice and coal.